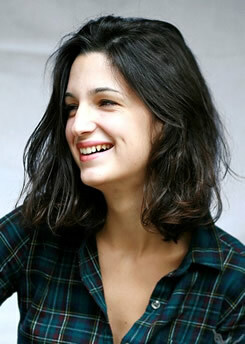 Coralie Colmez was born in Paris, and educated there until she left to study mathematics at Caius College, Cambridge, where she was awarded a Cambridge European Trust scholarship. She graduated with a First Class degree in 2009, winning the Ryan Prize in Higher Mathematics. Next, Coralie spent a year working as a researcher and assistant for the Maths Taskforce, a team set up on the initiative of David Cameron and under the direction of Carol Vorderman to produce a report on the problems with mathematics education in England, and ideas for solutions. She now lives in London and works tutoring maths students of all ages, both for Keystone Tutors and as a volunteer for The Access Project, which aims to help motivated students from disadvantaged backgrounds win places at top universities. Coralie enjoys reflecting on the reasons why people have difficulty relating to numerical concepts, and about how that can be changed. Coralie runs a blog called mathsontrial.blogspot.com, whose purpose is to discuss the spontaneous appearances of mathematics in real life, and the way maths education can help recognise and understand these situations. Hebrew rights in Nick Best’s Seven Days of Infamy. Czech rights in Juia Boyd’s Travellers in the Third Reich. Complex Chinese rights in Maths on Trial by Leila Schneps and Coralie Colmez. Italian rights in Chris Woodford’s Atoms Under ther Floorboards. Coralie was interviewed on the BBC’s flagship Today Programme: You can listen back here – Coralie’s interview starts at 8.45am. Coralie was interviewed for the BBC’s More or Less podcast – the interview starts at about 5 minutes in, and is available to download here. Coralie also did an interview for the Economist.com’s ‘Quick Study’ slot, which is available here. The ECONOMIST.COM blog Prospero interviewed Coralie here. 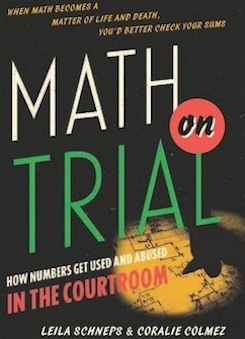 The authors of Math on Trial, Leila Schneps and Coralie Colmez, have written a fascinating op-ed in the NY Times, detailing some of the mathematical issues at the heart of the Meredith Kercher murder trial.